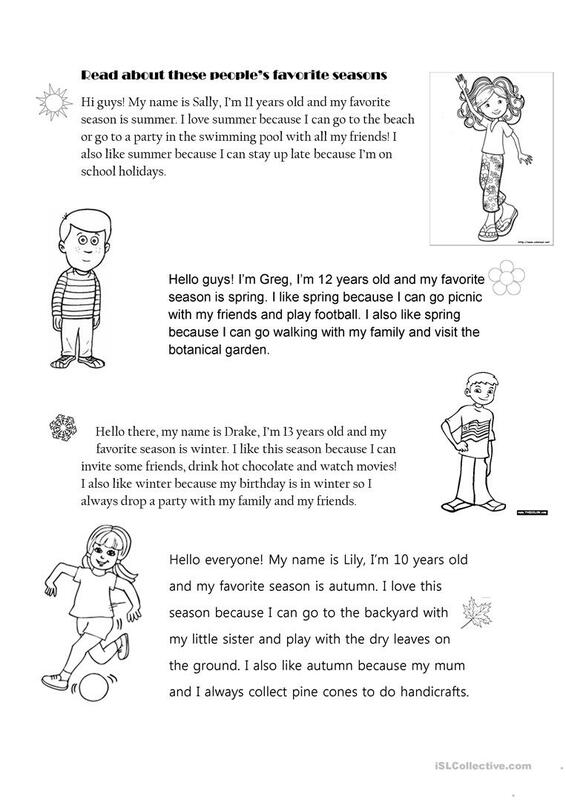 The present downloadable printable is recommended for elementary school students at Elementary (A1) level. 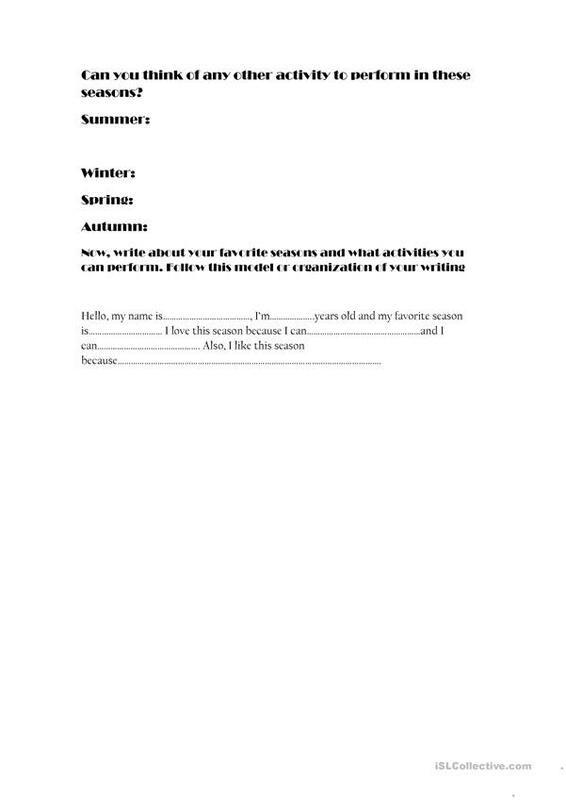 It is aimed at consolidating CAN or BE ABLE TO in English, and is useful for improving your pupils' Writing skills. 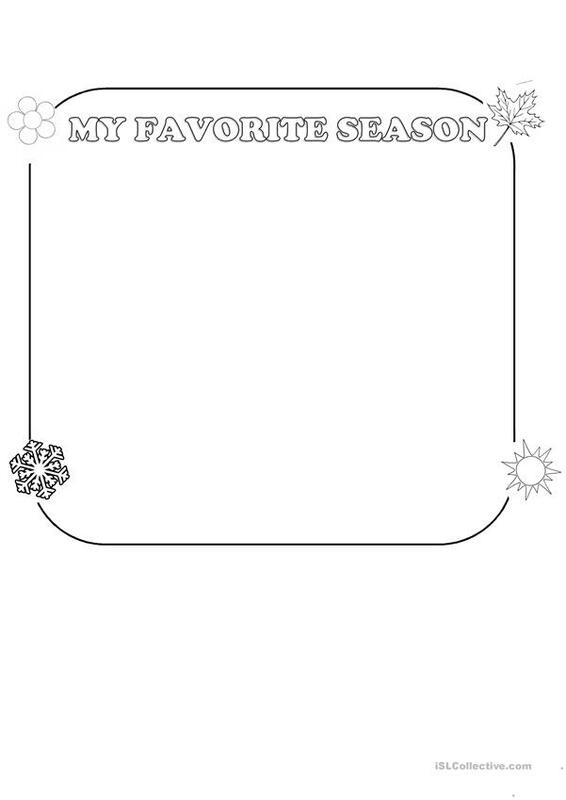 It centers around the vocabulary topic of Seasons.